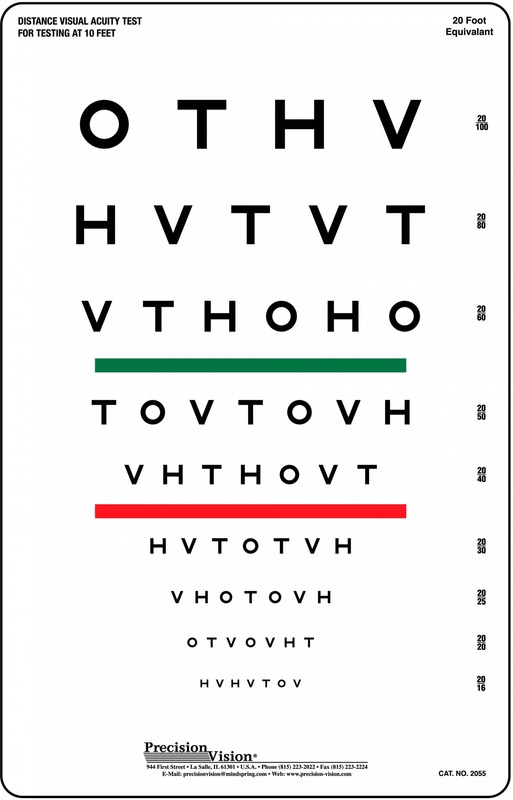 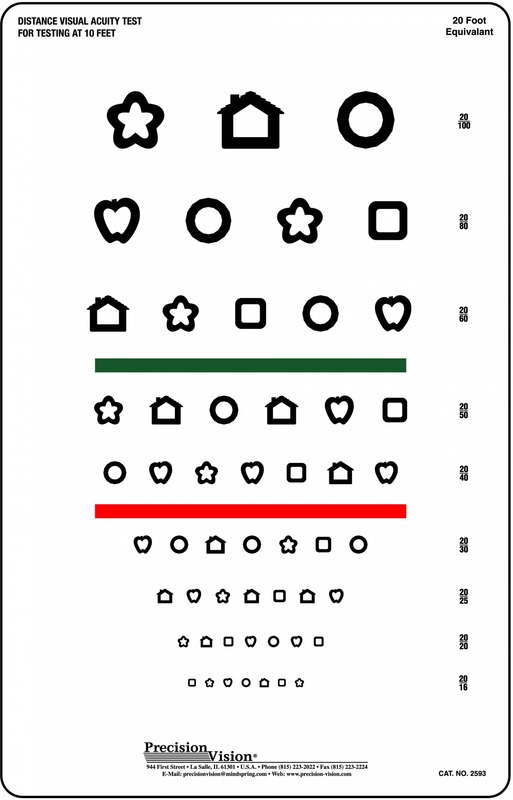 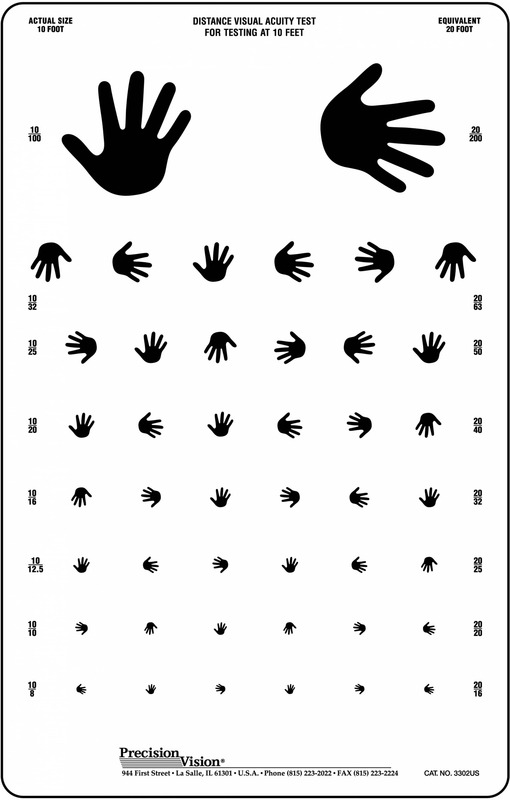 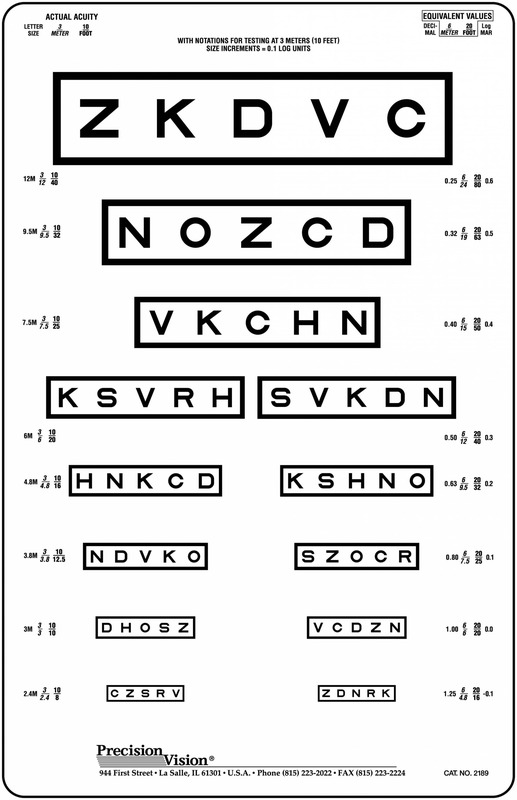 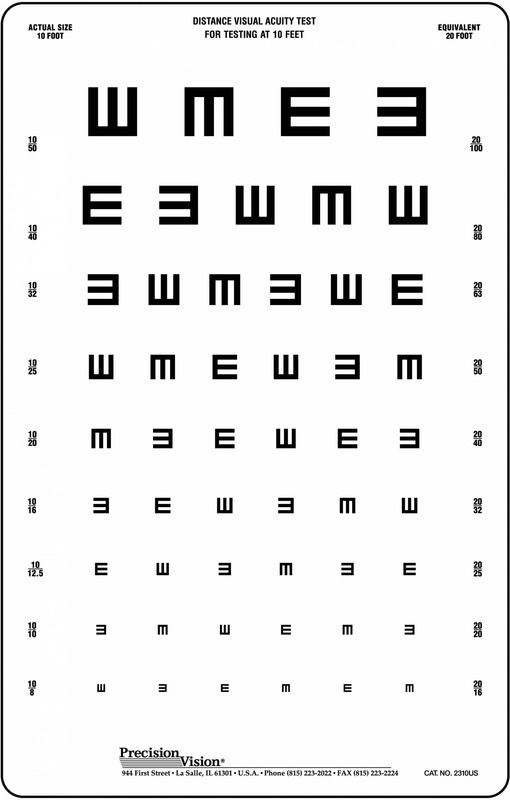 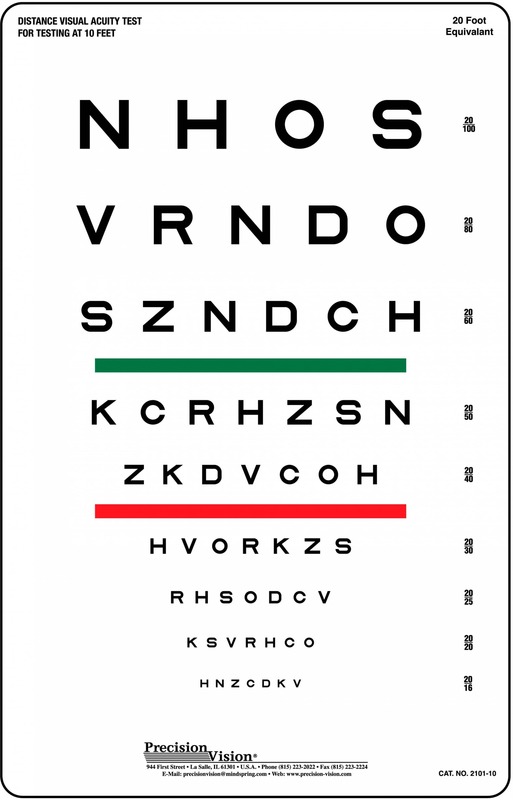 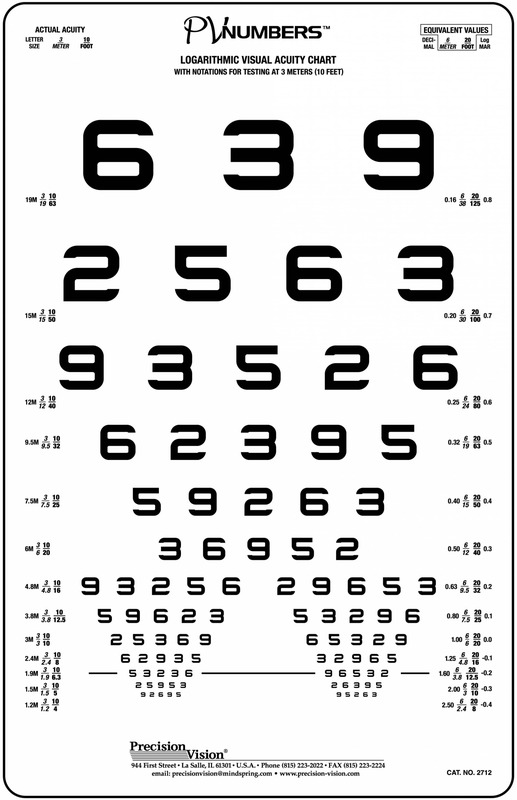 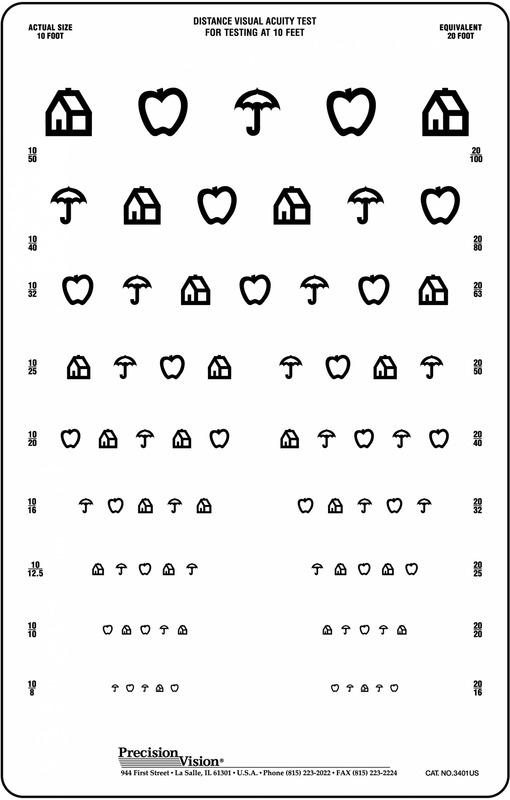 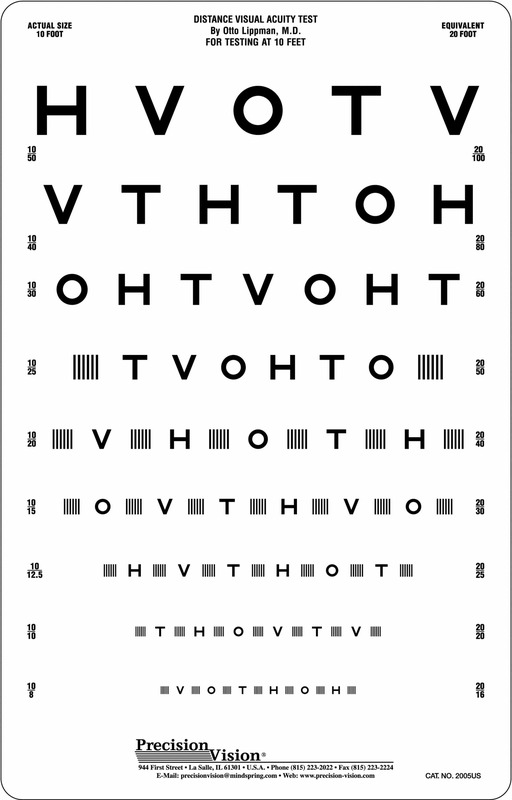 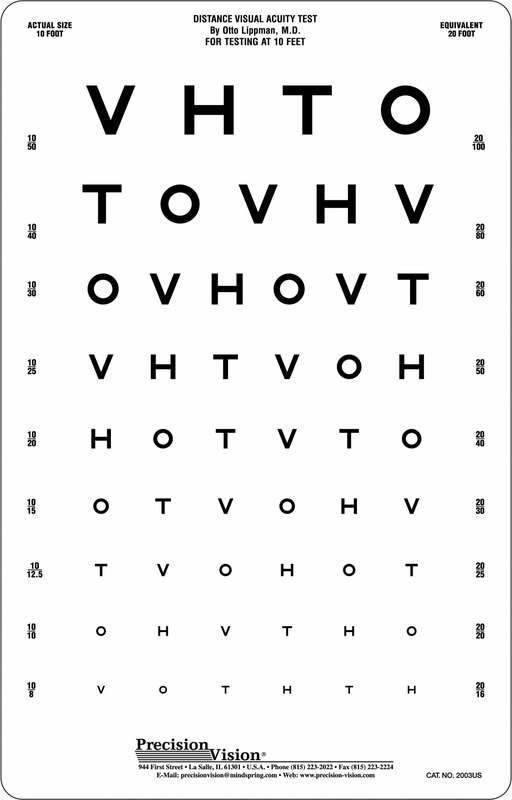 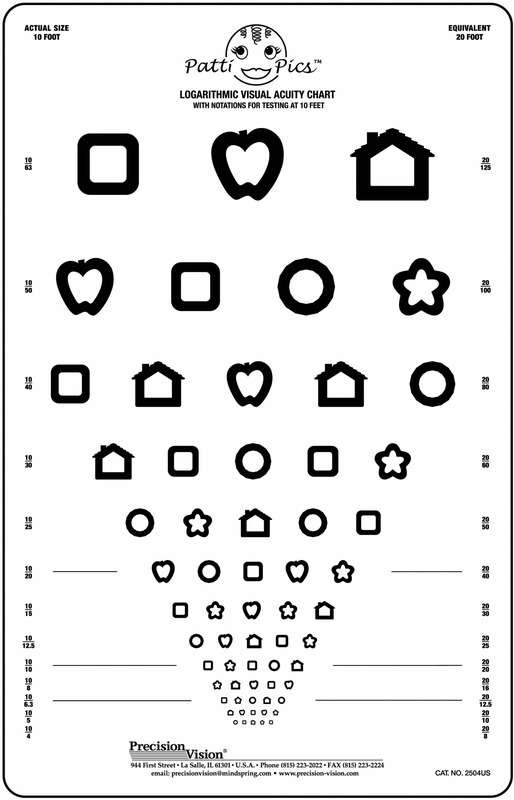 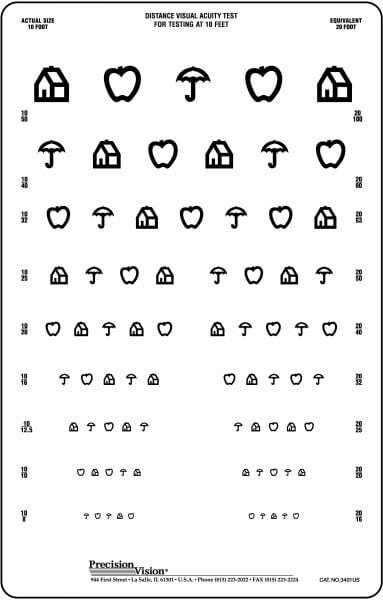 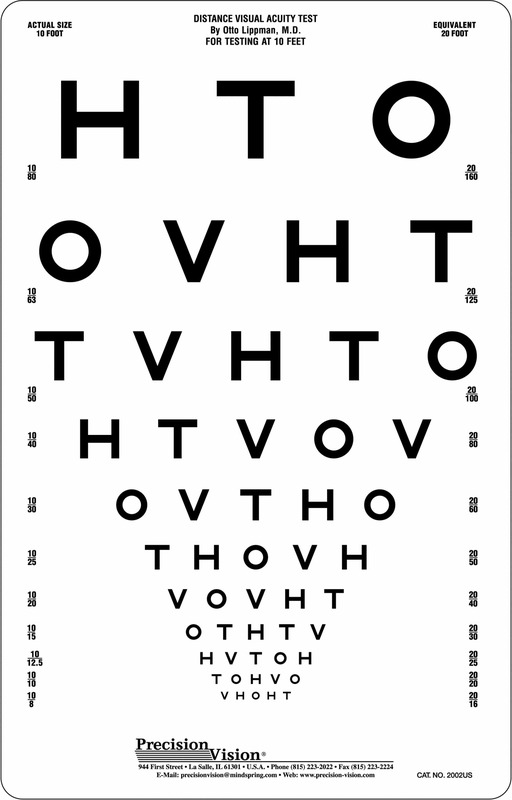 Two small groups 10/25 to 10/8 for repetitive eyesight testing (20/50 to 20/16 equiv.). 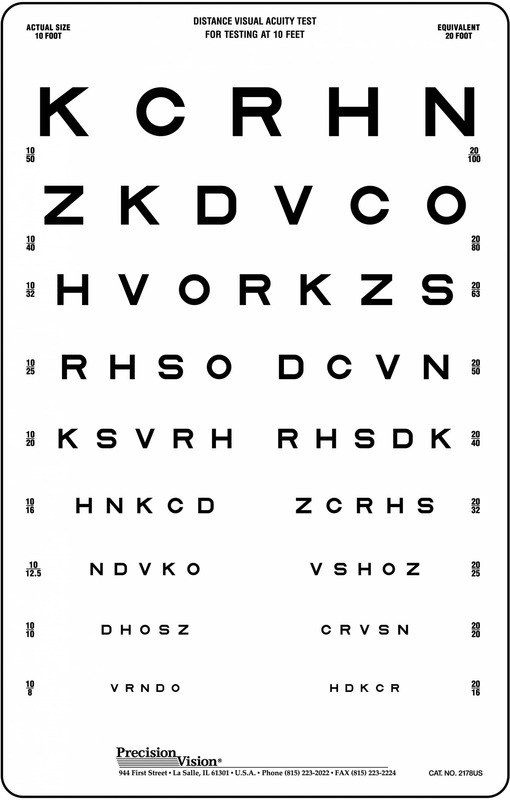 U.S. notations are printed on the chart to prevent any confusion when recording results. 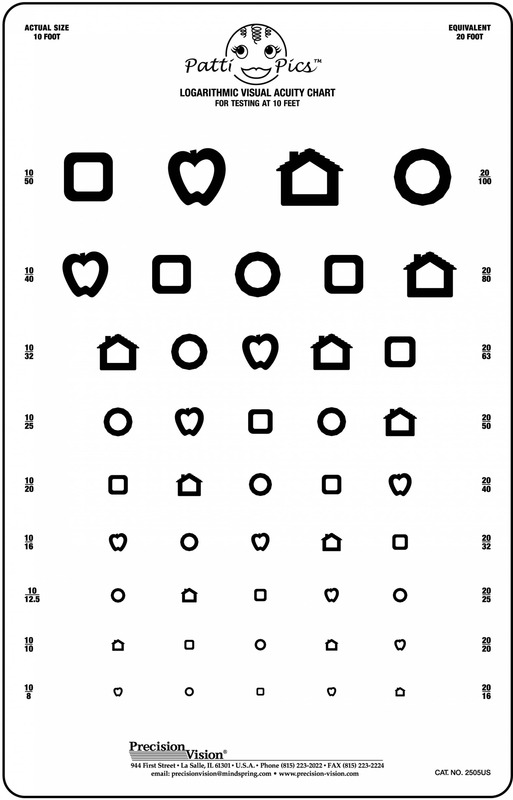 House, Apple, Umbrella test features two smaller groups toward the bottom of the chart. 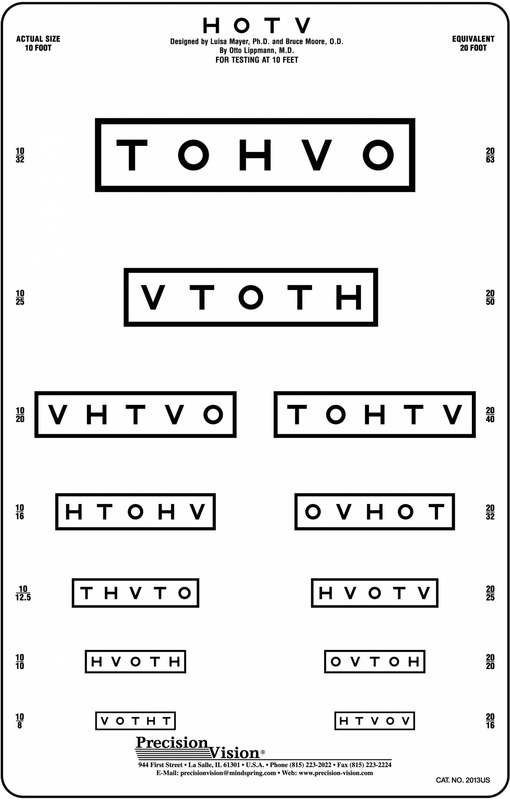 These groups aid in repetitive testing and help minimize memorization. 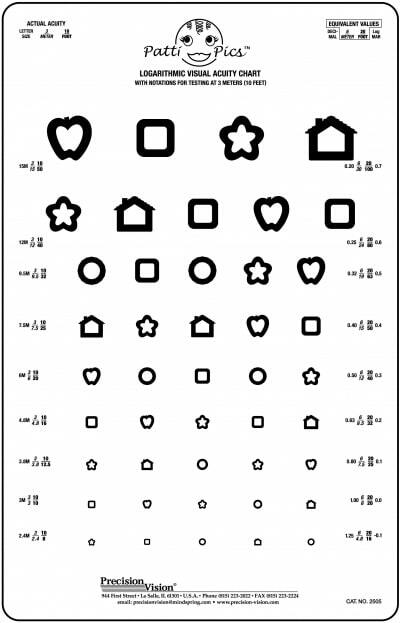 House, Apple, Umbrella charts are useful for testing preliterate children and help in school screenings.